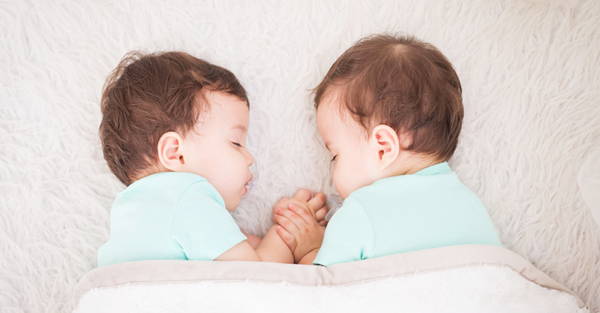 Most conversations about having twins tend to contain phrases like ‘Oh my god, it’s exhausting!’ or ‘I don’t know how I’m still functioning!’ and that’s because being a twin parent is really challenging. I’ve said those phrases many times, and countless others in the same vein. Being a parent of one child is hard enough, but spreading yourself between two children the same age, each wanting the same thing from you 24 hours a day is truly difficult. But there are lots of wonderful things, too. 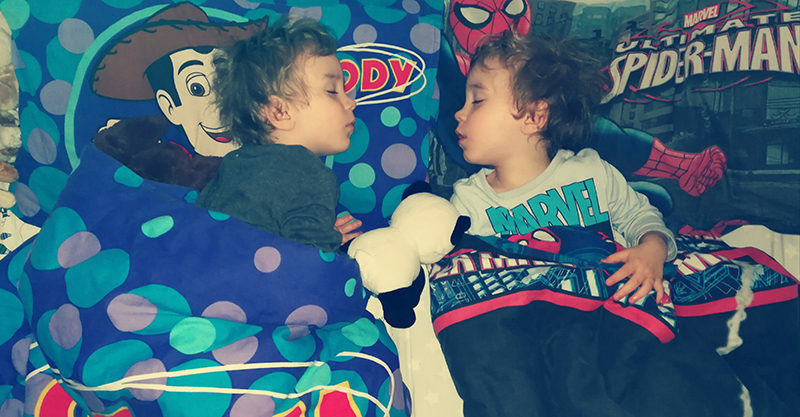 As my twin boys grow older, I’ve noticed there are lots of amazing things about having twins that not many people talk about – if you put the exhaustion and sheer relentlessness aside. Now that we’re past the night-waking and toilet training, parenting life is getting a little easier, which means I can actually breathe a little and enjoy my identical boys, whose personalities are emerging. They’re becoming more like real people and less like toddlers who continuously need some part of their body wiped. Sure, life as a twin parent is still exhausting, there’s no getting around that. But now that I’m getting more space to enjoy them, it makes those tough parts easier to bear. If you’re a parent of twins in the middle of the maintenance stage – you know, when it’s all about meeting their needs and demands throughout the day and night and having to supervise them all the time because they have no sense of danger – then be reassured: it will get easier. Okay, not that much easier … but it gets better – I promise! Twins might be hard work, but they’re amazing! Think about it: these two little beings that were created at the same time and have been by each other’s side constantly. There’s no other sibling relationship like it. From their secret twin language to the way they jump in and protect each other when one of them is arguing with another sibling or being told off by a parent, the twin relationship is something out of this world and has to be seen to be really understood. When my twins arrived eight weeks early and separated in their humidicribs, I was really worried about their bond being broken. But if anything, their closeness nowadays is stronger than ever. Don’t get me wrong, they fight like cats and dogs sometimes, but more often than not, they’re like two little peas in a pod. My husband and I joke that we’re envious of the life our twins have together. These boys wake up side by side and instantly start playing together. They spend all day together eating and running amok and then go to bed together, talking right up until they fall asleep facing each other. Sometimes I wonder if they’re mid-conversation when one of them drops off to sleep. Or do both of them fall silent and watch each other until their eyes droop shut? Can you imagine growing up with a constant playmate and best friend by your side 24/7? All little kids are funny but, when you have two of them, it’s double the laughs. Hearing these two little guys talk to each other and get deeply involved in their role play games is the best. And yep, they’ve already started playing tricks on us too, and boy do these two conspire. Only twin parents understand what it’s like to have twins, which can be a little isolating at times. Other times, it makes you feel like you’re in a very special club that only a subsection of the world gets to join. With identical twins happening entirely at random, we had no idea that twins would be on the card for us, but the fact that we got them makes us feel like we’ve been chosen and blessed – even if it is a complete shitstorm some days.